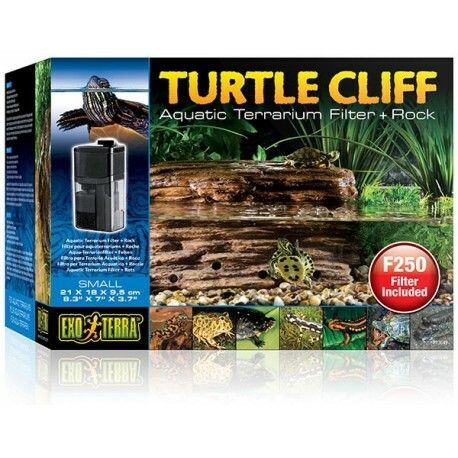 The Exo Terra Turtle Cliff is a waterfall, basking area and filter in one. 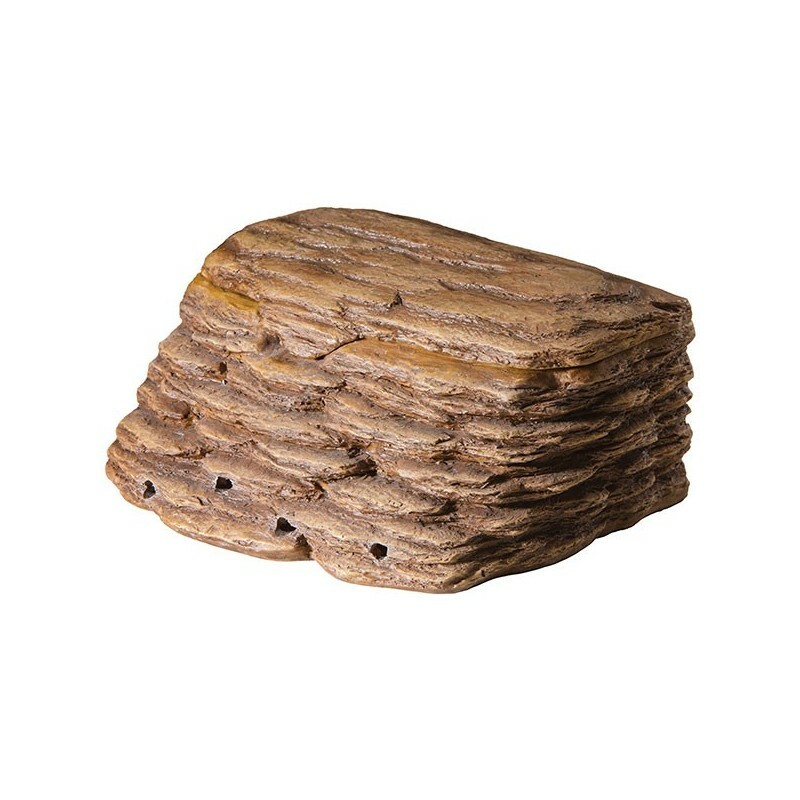 Its state-of-the-art filtering system instantly transforms an aquatic terrarium setup into the ideal habitat while providing turtles and other semi-aquatic terrarium animals with the ideal basking or terrestrial area. 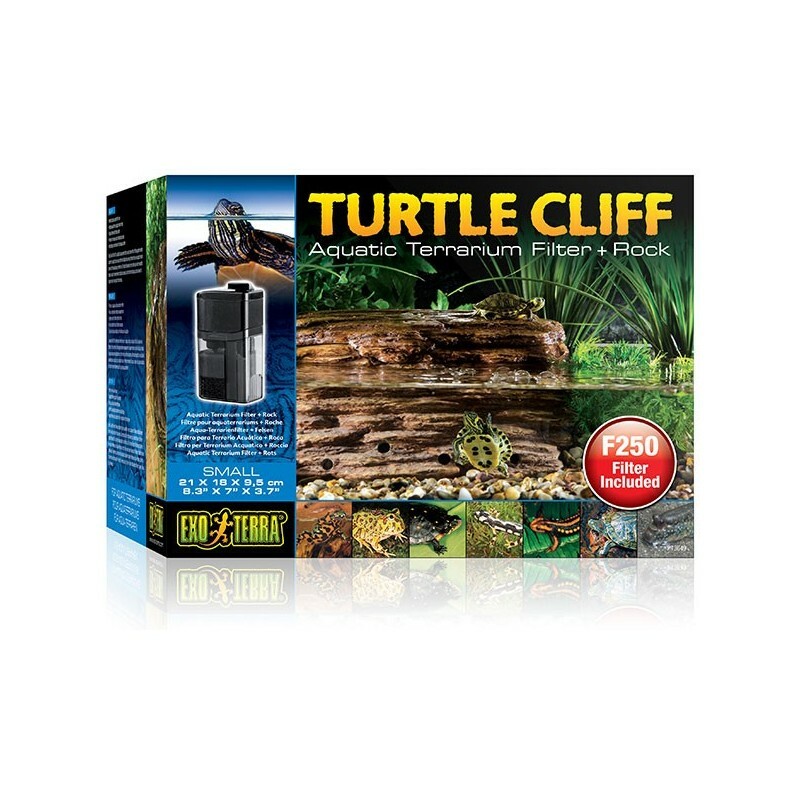 The Exo Terra Turtle Cliff is equiped with a Repti Clear Terrarium Filter, an optimal water filtration system with large filter volume and effective flow control. The 3-stage filtration system allows alternate replacement for continuous biological filter activity, guaranteeing optimal mechanical, chemical and biological filtration. Additional filter material can be added to the chambers for increased filter performance. 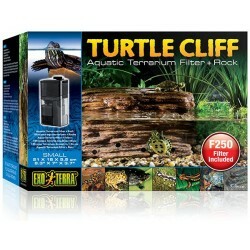 Aquatic heaters can also be concealed within the Exo Terra Turtle Cliff. 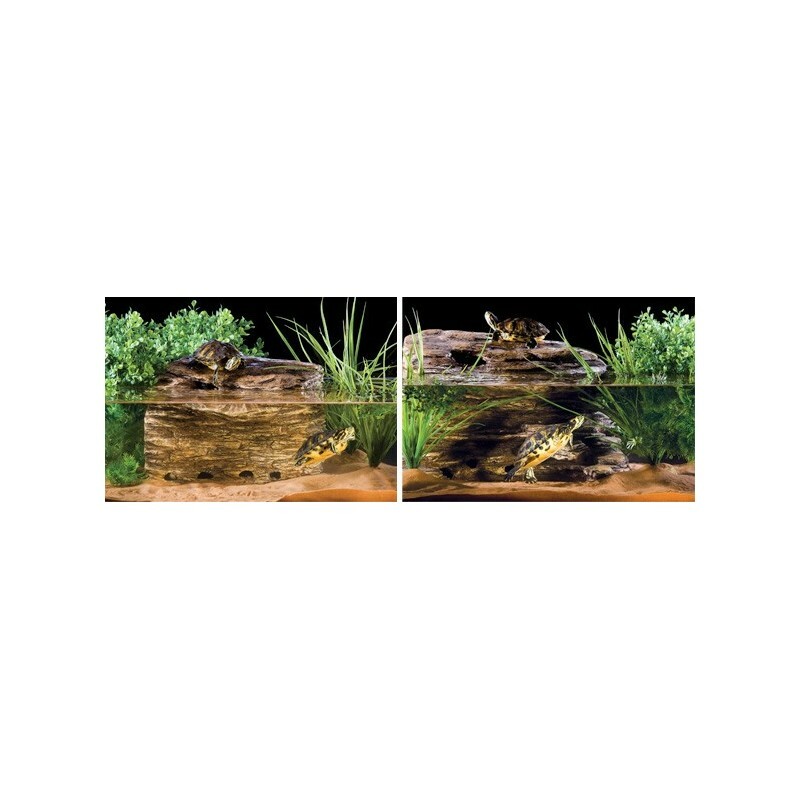 The flat back and side can be easily positioned in the back corners of the Exo Terra Turtle Terrarium.